30–31 March 1979: That Others May Live. On a dark and stormy night in the Yellow Sea, between China and the Korean Peninsula, the 160 foot (49 meter), 3,000 ton (2,722 Metric tons) Taiwanese freighter Ta Lai ran aground. As 20 foot (6 meters) waves battered the stranded ship, rocks punched through the hull. It was taking on water and sinking. Her crew of twenty-eight men were in danger. Detachment 13, 33rd Aerospace Rescue and Recovery Squadron, at Osan Air Base, 40 miles (64 kilometers) south of Seoul, the capital of the Republic of South Korea, answered the distress call. Major James E. McArdle, Jr., United States Air Force, and his crew of four, flew their helicopter, “Rescue 709,” a Sikorsky HH-3E Jolly Green Giant, serial number 67-14709, through the darkness and gale-force winds to the stranded vessel. These men were just completing there regular 12-hour duty schedule when the distress call came in, but no other crews or helicopters were available. In addition to Major McArdle, the aircraft commander, the crew consisted of 1st Lieutenant Van J. Leffler, pilot; Sergeant James E. Coker, flight engineer; Staff Sergeant Tony Carlo and Sergeant Mark Zitzow, pararescue jumpers (“PJs”). Rescue 709 arrived on scene just before midnight, 30 March. 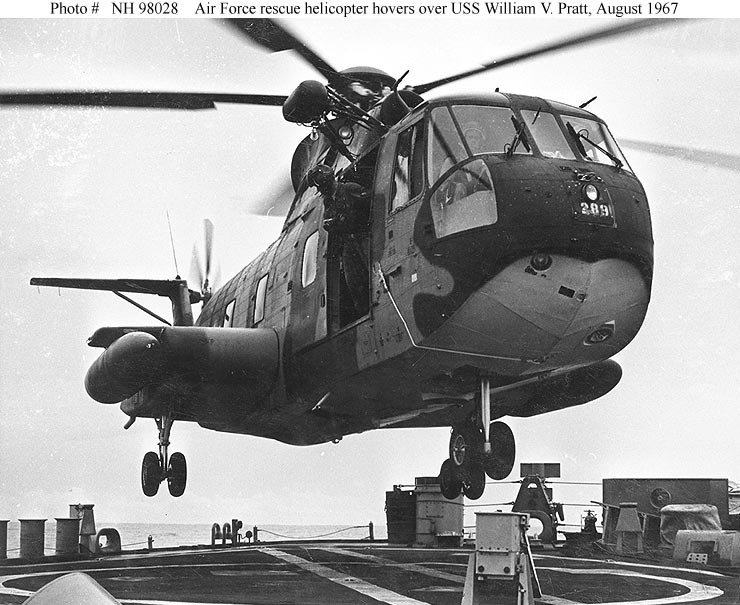 While McArdle and Leffler tried to hold a steady hover over the Ta Lai as it pitched and rolled in the storm, Sergeant Zitzow was lowered 80 feet (24 meters) to the deck. Once there, he assisted the ship’s crew, two at a time, onto the rescue hoist’s jungle penetrator, and after strapping them on, all three were hoisted back to the helicopter. Sergeant Coker, who was controlling the hoist, moved the sailors into the passenger/cargo area of the Jolly Green Giant, and Zitzow was once again lowered to the Ta Lai. With ten survivors aboard Rescue 709, the helicopter was at its maximum load. Sergeant Zitzow remained aboard Ta Lai. The crew then flew to Kwang-Ju Air Base, 150 miles (241 kilometers) south of Seoul—more than 30 minutes away—to offload the men. After returning to the rescue scene, Sergeant Zitzow was joined on deck by Sergeant Carlo. While lifting three sailors, the helicopter’s hoist motor overheated and stopped. The sailors were still hanging 50 feet (15 meters) underneath the Jolly Green Giant. The only thing that could be done was to fly to a small island about 2 miles (3.2 kilometers) away and lower them to the ground. 709 then returned to the ship, by which time the hoist was working again. They picked up several more sailors and with Carlo once again on board, made the flight to Kwang-Ju. On the third trip, the winds, though still high, were blowing from a more advantageous direction, and the final twelve men, including Zitzow, were quickly picked up. Rescue 709 returned to Kwang-Ju and landed at 0415 hours, 31 March 1979. 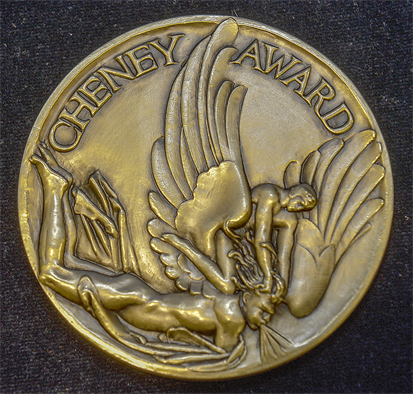 For this rescue, Major McArdle was awarded the Mackay Trophy by the National Aeronautic Association, for the most “meritorious flight of the year” by an Air Force member, members, or organization. 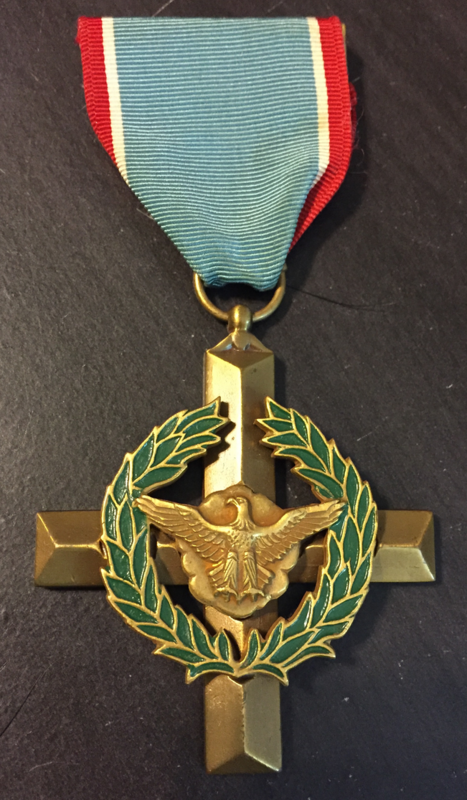 He was also awarded another Distinguished Flying Cross. Lieutenant Leffler and Sergeant Coker were awarded the Air Medal, while both Sergeants Zitzow and Coker received the Airman’s Medal. 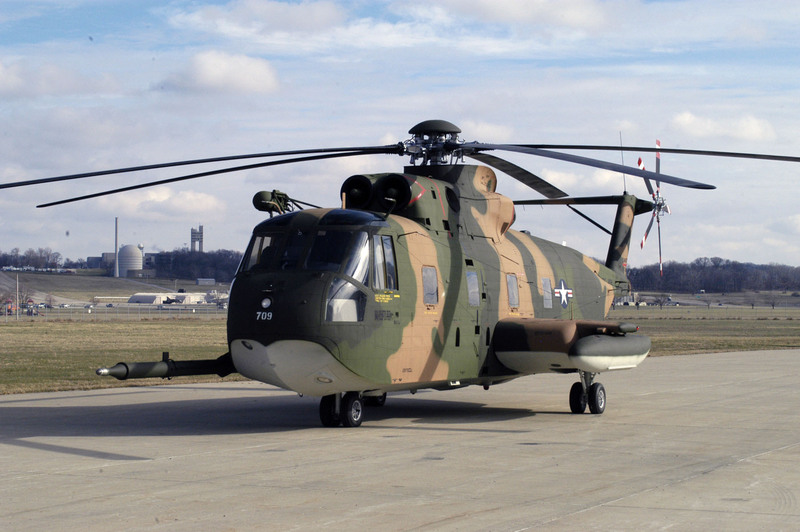 67-14709 was built by Sikorsky Aircraft Corporation at Straford, Connecticut as a CH-3E transport helicopter and was later converted to the HH-3E configuration. It served the United States Air Force from 3 July 1968 to 19 February 1991. 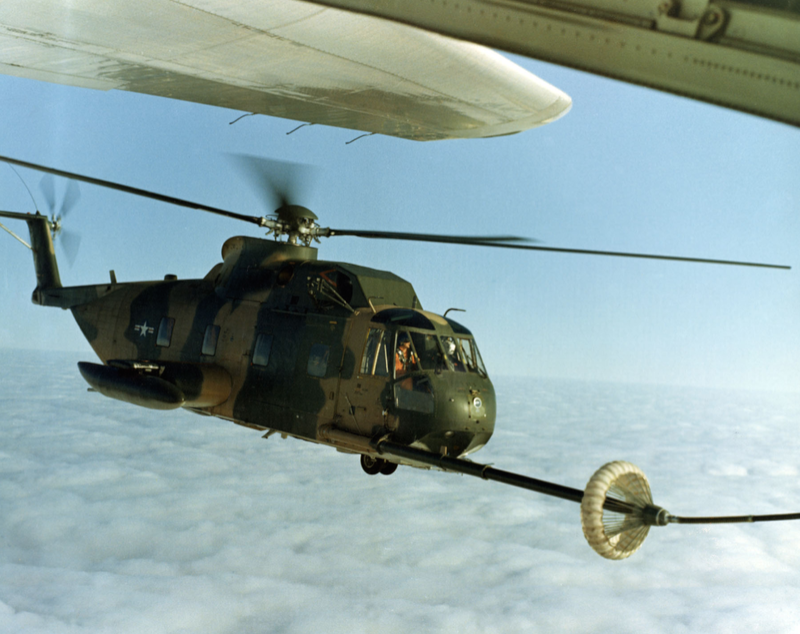 During the Vietnam War, 709 operated with the 37th ARRS at Da Nang in the Combat Search and Rescue (CSAR) role. Flying with the call sign “Jolly Green 22,” at least 27 airmen were rescued by this helicopter and its crews. During that period, crewmen assigned to 709 were awarded one Air Force Cross,¹ fourteen Silver Stars (three of these had been nominated for the Air Force Cross) and an unknown number of Purple Hearts. On one mission alone, 709 took hits from at least 68 machine gun bullets. After Operation Desert Storm, 709 was sent to The Boneyard at Davis-Monthan Air Force Base, Tucson, Arizona. 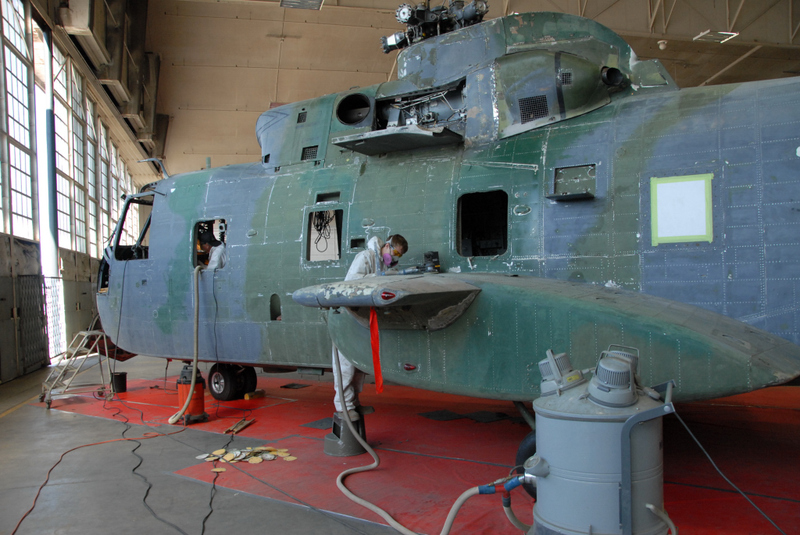 After 19 years in the desert, in August 2010, she was pulled from storage and sent to the National Museum of the United States Air Force for a 6-month restoration by Museum staff, as well as technical experts from the 20th Special Operations Squadron at Hurlbert Field, Florida. 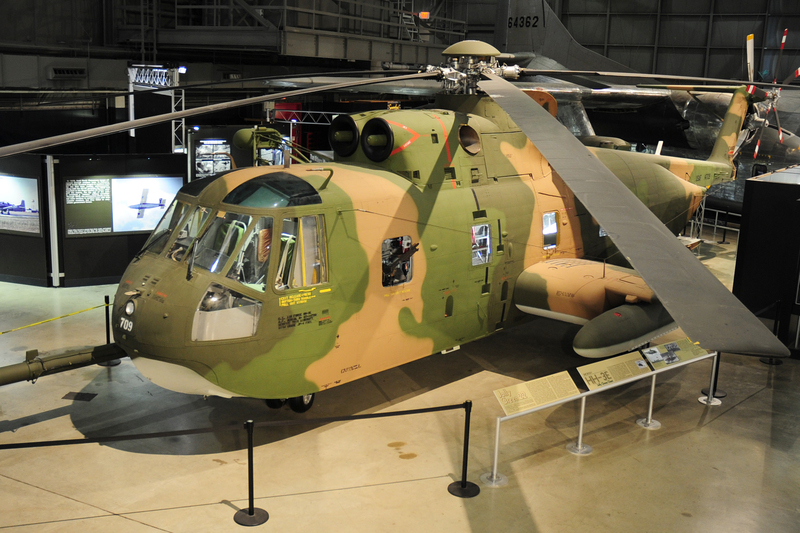 Sikorsky HH-3E 67-14709 is on display in the Southeast Asia War Gallery of the Museum at Wright-Patterson Air Force Base, Ohio. 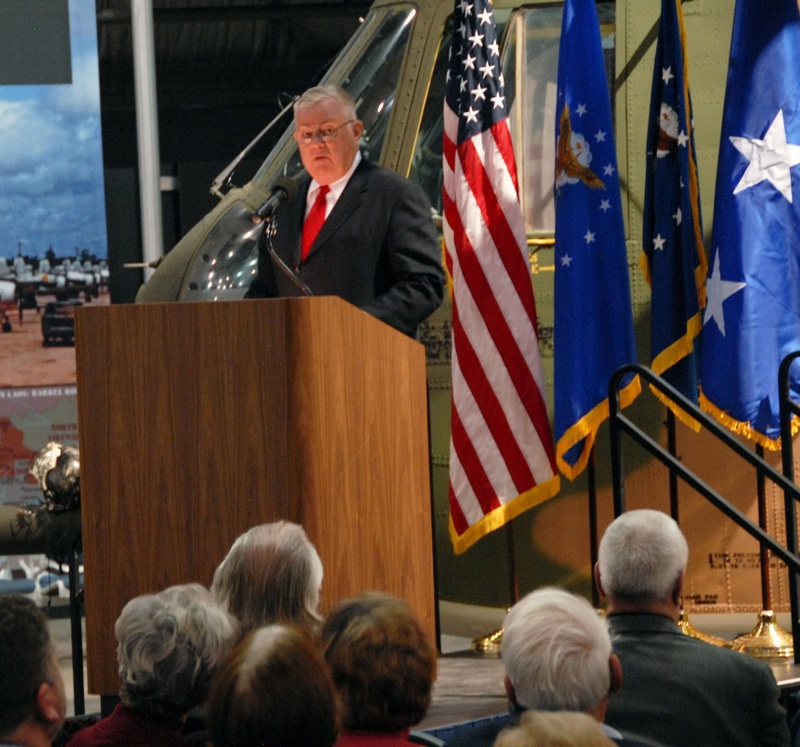 Colonel McArdle, her pilot during the 1979 rescue mission, was present at 709’s Museum debut, 14 December 2010. Colonel James E. McArdle, Jr., was born at LaCrosse, Wisconsin, 2 March 1943. He attended Marquette University High School in Milwaukee, where he competed on the Swimming Team and worked on the student newspaper. He entered the United States Air Force Academy as a cadet in 1961, majoring in engineering management. Upon graduating from the Academy, 9 June 1965, he was presented the Secretary of the Air Force Award for Behavorial Sciences. 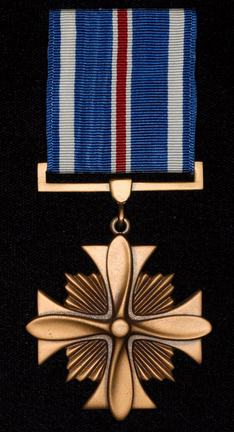 McArdle was commissioned as a Second Lieutenant, United States Air Force. 2nd Lieutenant McArdle trained as a helicopter pilot at Randolph Air Force Base, Texas, finishing at the top of his class. 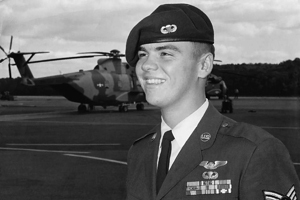 After finishing advanced helicopter training at Sheppard AFB, Texas, McArdle was assigned to the 20th Helicopter Squadron, 14th Air Commando Wing, operating in Southeast Asia, where he flew the Sikorsky CH-3C transport helicopter. He was awarded the Distinguished Flying Cross, four Air Medals and the Air Force Commendation Medal. In 1970, McArdle was retrained as a Northrop T-38A Talon pilot and spent the next four years as an instructor and check pilot at Williams Air Force Base, Arizona. 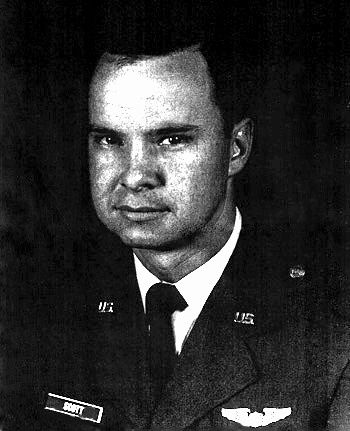 Major McArdle was assigned to the Air Force Reserve Officer Training Corps from 1974 to 1978. Next, he became the operations officer for Detachment 13, 33rd Aerospace Rescue and Recovery Squadron, Osan Air Base, Korea. 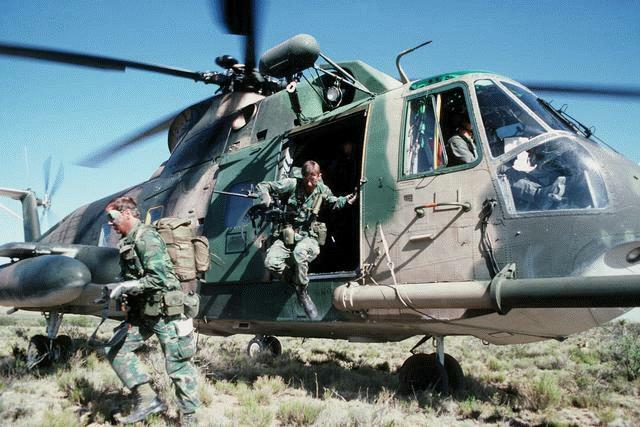 During a 12-month period, the detachment saved 80 lives, including those rescued from the Ta Lai. 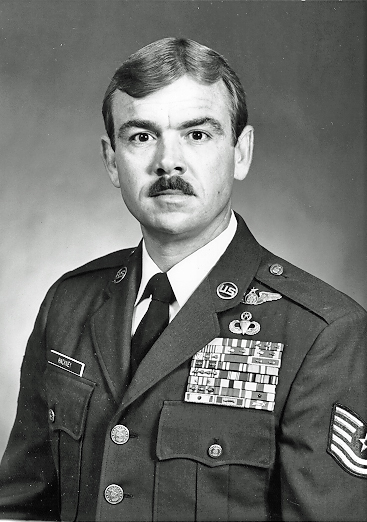 From 1979 to 1981 Lieutenant Colonel McArdle served at headquarters, Aerospace Rescue and Recovery Service, Scott Air Force Base, Illinois. While there he developed combat rescue tactics and helped develop the MH-53J Pave Low and MH-60G Pave Hawk special operations helicopters. 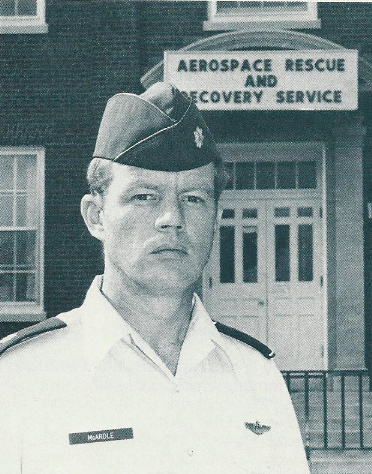 As operations officer of the 67th Aerospace Rescue and Recovery Squadron at RAF Woodbridge, Suffolk, England, McArdle supervised three detachments. 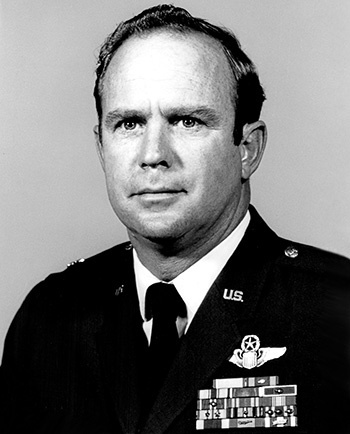 Next, Lieutenant Colonel McArdle assumed command of the 41st ARRS at McClellan Air Force Base, Sacramento, California, 7 August 1984. At that time, unit’s primary assignment was special operations support, the only helicopter squadron so assigned in the U.S. Air Force. Colonel McArdle’s final assignment was as Inspector General at McLellan Air Force Base. He retired from the U.S. Air Force on 1 August 1991 after thirty years of service. The SH-3A Sea King (Sikorsky S-61) first flew 11 March 1959, designed as an anti-submarine helicopter for the U.S. Navy. The prototype was designated XHSS-2 Sea King. 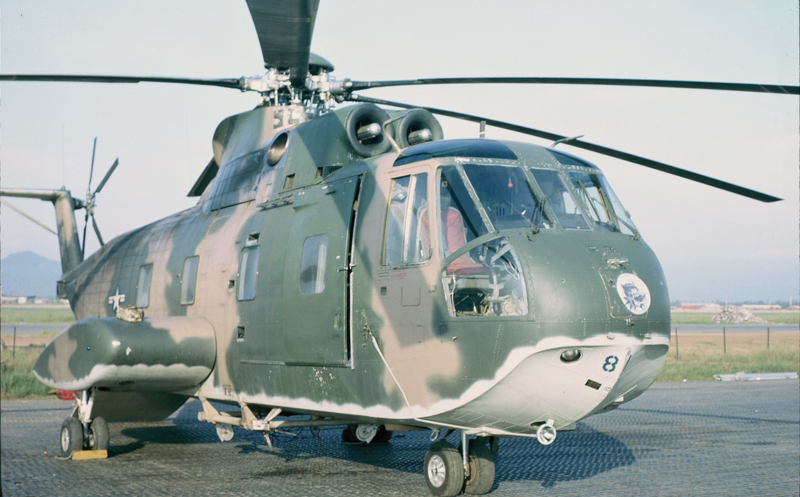 In 1962, the HSS-2 was redesignated SH-3A Sea King. Many early production aircraft were upgraded through SH-3D, SH-3G, etc. 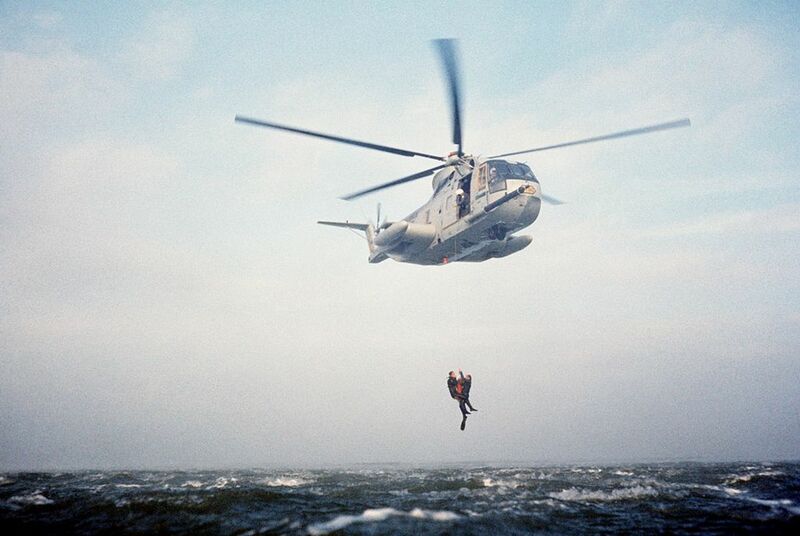 In addition to the original ASW role, the Sea Kings have been widely used for Combat Search and Rescue operations. Marine One, the call sign for the helicopters assigned to the President of the United States, are VH-3D Sea Kings. The Sikorsky HH-3E (Sikorsky S-61R) is a development of the SH-3A. It earned the nickname Jolly Green Giant during the Vietnam War. It is a dedicated Combat Search and Rescue (CSAR) helicopter flown by the U.S. Air Force, based on the CH-3C transport helicopter. The aircraft is flown by two pilots and the crew includes a flight mechanic and gunner. It is a large twin-engine helicopter with a single main rotor/tail rotor configuration. It has retractable tricycle landing gear and a rear cargo ramp. The rear landing gear retracts into a stub wing on the aft fuselage. The helicopter has an extendable inflight refueling boom. The HH-3E is 72 feet, 7 inches (22.123 meters) long and 18 feet, 10 inches (5.740 meters) high with all rotors turning. The main rotor has five blades and a diameter of 62 feet (18.898 meters). Each blade has a chord of 1 foot, 6.25 inches (0.464 meters). The main rotor turns at 203 r.p.m., counter-clockwise, as seen from above. (The advancing blade is on the right.) The tail rotor also has five blades and has a diameter of 10 feet, 4 inches (3.150 meters). The blades have a chord of 7–11/32 inches (0.187 meters). The tail rotor turns clockwise as seen from the helicopter’s left. (The advancing blade is below the axis of rotation.) The tail rotor turns 1,244 r.p.m. Beginning in 1928, an American food company began using a cartoon figure to advertise its “Green Giant” brand of canned peas. 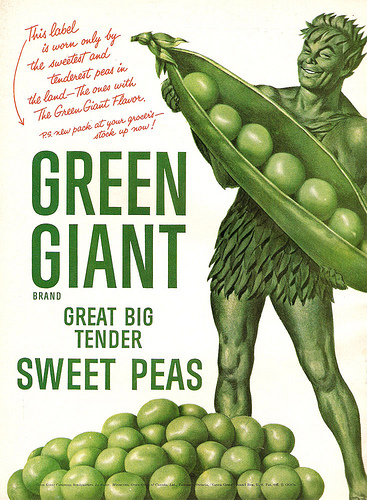 Eventually the mascot represented The Green Giant Company’s other canned and frozen vegetables. The character is now owned by General Mills. 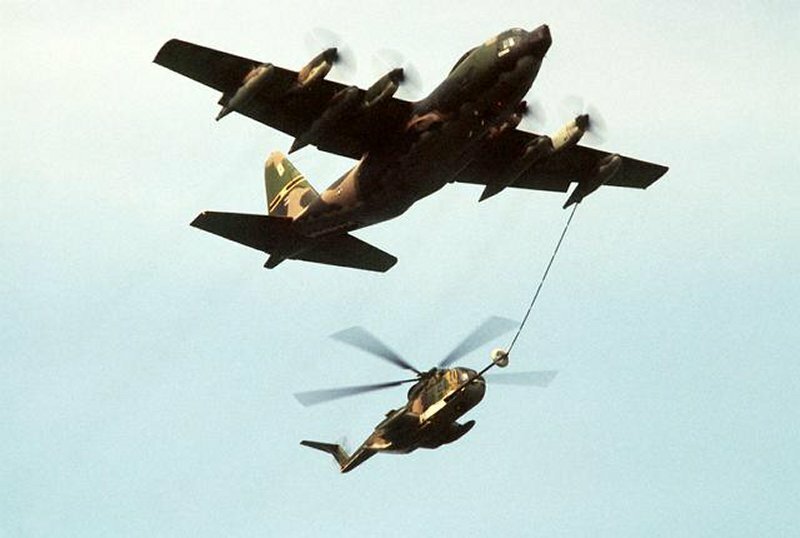 The HH-3E has an empty weight of 13,341 pounds (6,051 kilograms). The maximum gross weight is 22,050 pounds (10,002 kilograms). The Jolly Green Giant is powered by two General Electric T58-GE-5 turboshaft engines, which have a Maximum Continuous Power rating of 1,400 shaft horsepower, each, and Military Power rating of 1,500 shaft horsepower. The main transmission is rated for 2,500 horsepower, maximum. The HH-3E has a cruise speed of 154 miles per hour (248 kilometers per hour) at Sea Level, and a maximum speed of 177 miles per hour (285 kilometers per hour), also at Sea Level. The service ceiling is 14,000 feet (4,267 meters). The HH-3E had a maximum range of 779 miles (1,254 kilometers) with external fuel tanks. The Jolly Green Giant can be armed with two M60 7.62 mm machine guns. 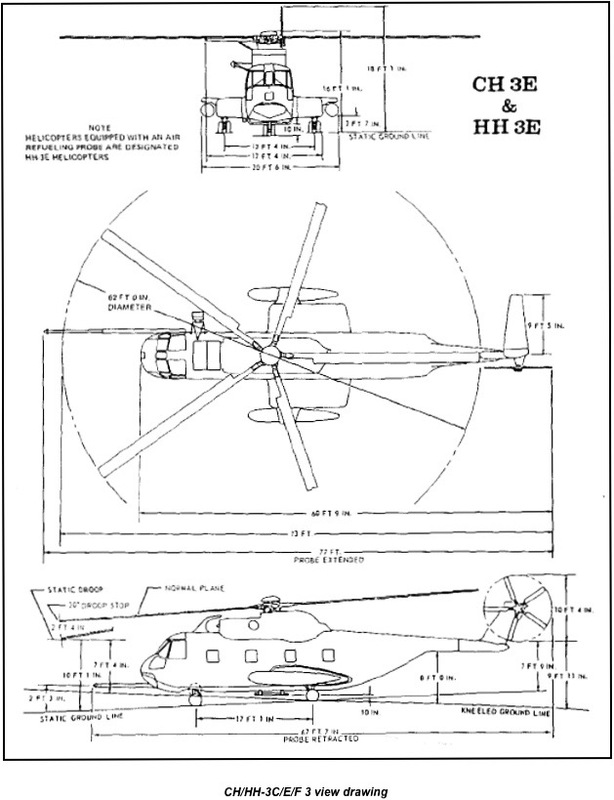 Sikorsky built 14 HH-3Es. 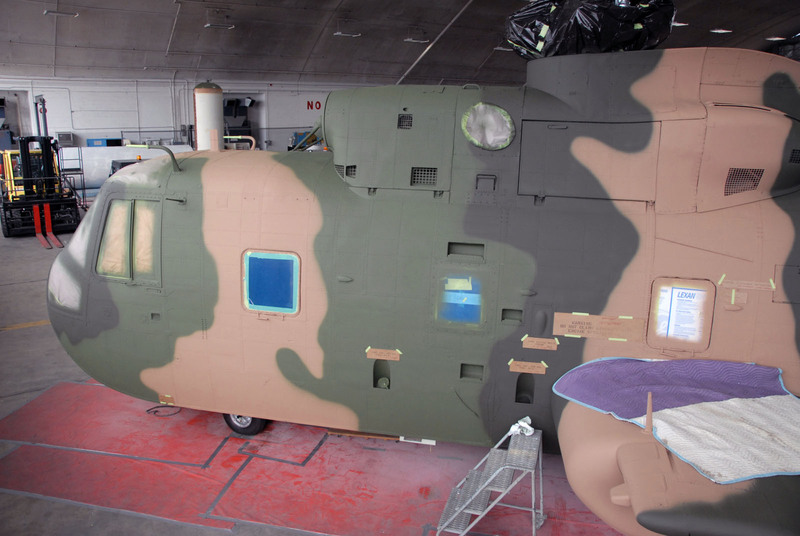 Many CH-3Cs and CH-3Es were upgraded to the HH-3E configuration. 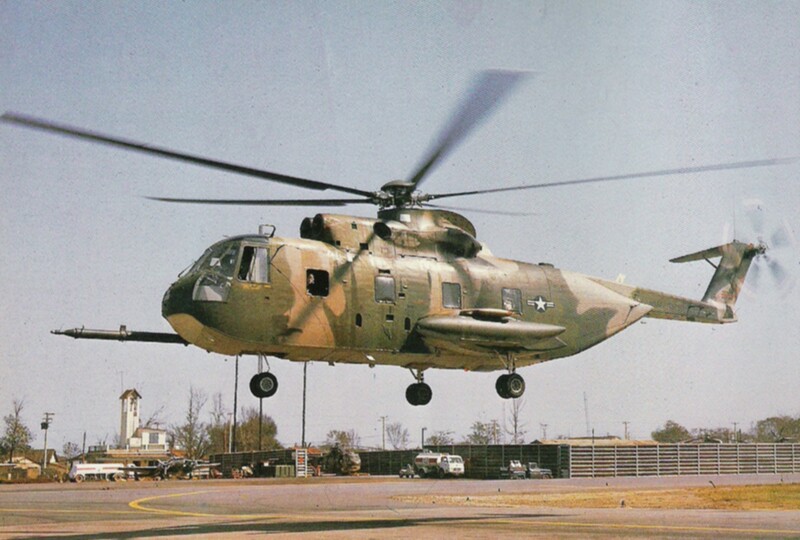 Sikorsky built a total of 173 of the S-61R series. 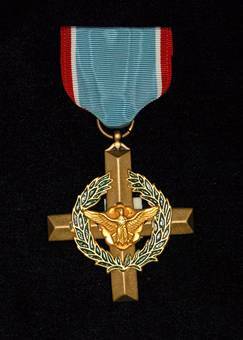 The President of the United States of America, authorized by Title 10, Section 8742, United States Code, takes pleasure in presenting the Air Force Cross to Chief Master Sergeant (Retired), [then Sergeant] Dennis M. Richardson, United States Air Force, for extraordinary heroism in connection with military operations against an opposing armed force as Flight Engineer of an HH-3E Jolly Green rescue helicopter of the 37th Aerospace Rescue and Recovery Squadron, 3d Air Rescue and Recovery Group, DaNang Air Base, Vietnam, in action in Southeast Asia on 14 March 1968. On that date, Sergeant Richardson flew two sorties in an effort to rescue United States Air Force pilots who were surrounded by enemy troops along the Ho Chi Minh Trail. 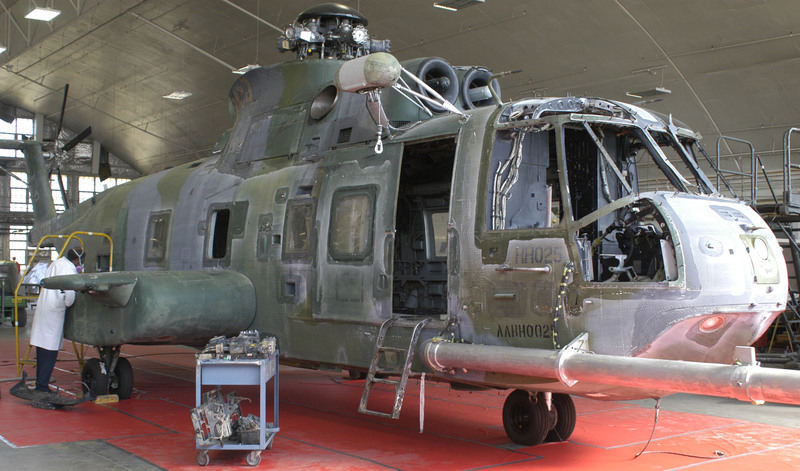 During the initial rescue attempt another helicopter had been driven off and Sergeant Richardson’s helicopter had itself sustained significant battle damage. Despite their situation, and with complete disregard for their own safety, Sergeant Richardson and his crew elected to return and make a second rescue attempt. Coming to a hover 10 feet above the survivor’s position, Sergeant Richardson stood fully exposed in the helicopter door and began lowering the jungle penetrator with one hand while gripping his M-60 machine gun with the other. Unknown to anyone, the enemy had occupied the area but held their fire, waiting to ambush the helicopter. Suddenly intense enemy fire erupted from all quadrants, resulting in additional damage to “Jolly Green 22” and wounding Sergeant Richardson. In an extraordinary display of courage and valor, Sergeant Richardson, despite his wounds, leaned far outside the door and neutralized charging enemy combatants who appeared intent on boarding the helicopter. Sergeant Richardson continued to lay down an effective blanket of defensive fire which enabled the pilot to maneuver safely out of the area. The selfless actions of Sergeant Richardson undoubtedly saved his helicopter and crew from certain disaster. Through his extraordinary heroism, superb airmanship, and aggressiveness in the face of a determined enemy, Sergeant Richardson reflected the highest credit upon himself and the United States Air Force. Dennis Martin Richardson was born 29 December 1945 at Queens, New York. He was the son of John Joseph (“Jack”) Richardson and Nora Elizabeth Tuohy Richardson. 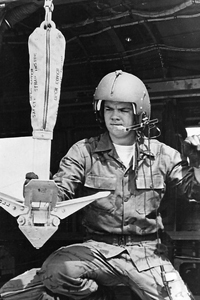 Richardson enlisted in the United States Air Force, 12 November 1964. He was trained as a helicopter mechanic, and was assigned as crew chief of a Bell UH-1F Iroquois (“Huey”) at Minot Air Force Base in North Dakota. During 1966, he served in Thailand with the 606th Air Commando Squadron. 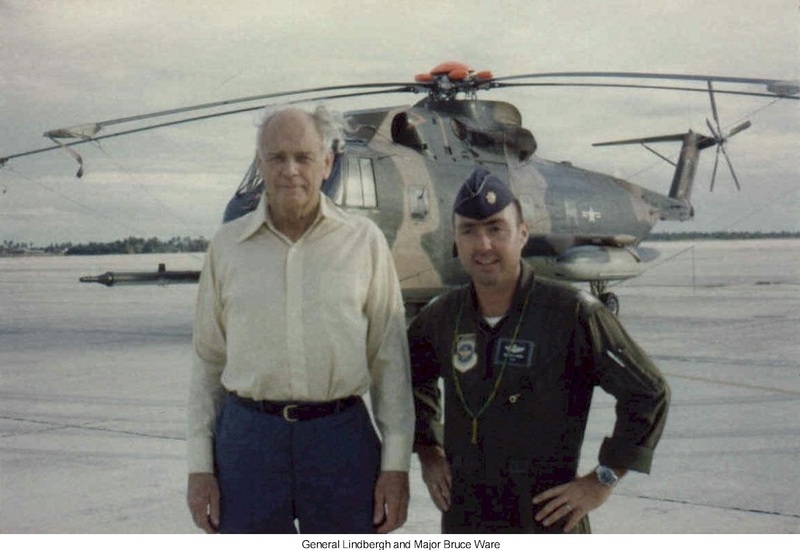 He was next assigned as flight engineer on the Sikorsky HH-3E Jolly Green Giant with the 37th Aerospace Rescue and Recovery Squadron at Da Nang Air Base, Republic of Vietnam. Richardson returned to the United States and on 11 October 1968, left active duty. On 30 January 1970, Richardson married Miss Deidre A. O’Brien at the Sacred Heart Church, Staten Island, New York. They would have five children. 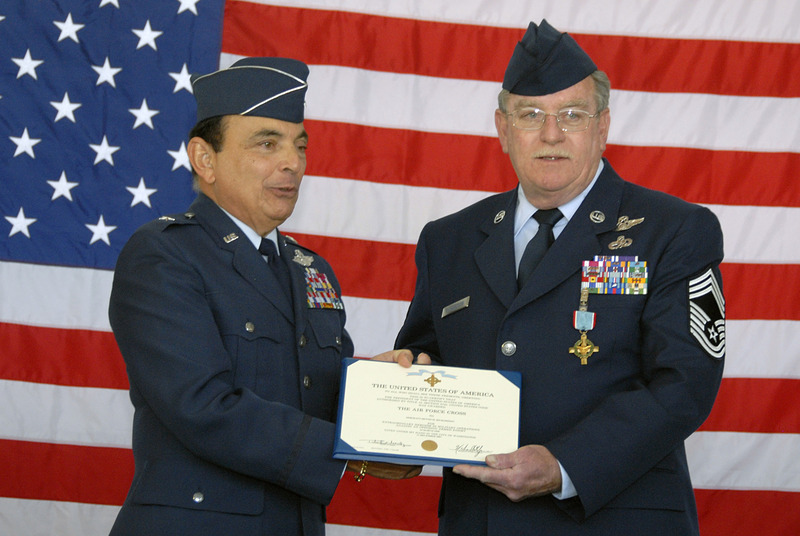 Dennis Richardson joined the New York Air National Guard in 1975, serving as a helicopter flight engineer with the 106th Rescue Wing. He retired in 2005. 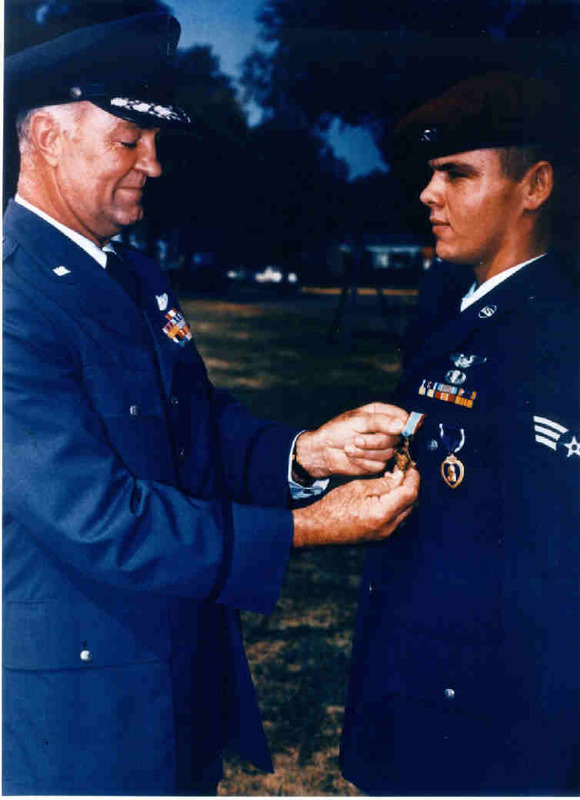 In addition to the Air Force Cross, during his service in the Vietnam War, Sergeant Richardson was twice awarded the Distinguished Flying Cross and the Purple Heart. Chief Master Sergeant Dennis Martin Richardson, United States Air Force, died at Carmel, New York, 1 June 2016 at the age of 70 years. He was buried at the Long Island National Cemetery, East Farmingdale, New York. 6 February 1967: That Others May Live. Airman 2nd Class Duane D. Hackney, U.S. Air Force, 37th Aerospace Rescue and Recovery Squadron, rescued the pilot of a downed aircraft and earned the Air Force Cross. He was the first living recipient of the Air Force Cross. With more than 70 individual medals, Chief Master Sergeant Hackney was the most highly decorated enlisted man in United States Air Force history. “. . . His pararescue career began quickly. Three days after reporting for duty, Hackney, now an airman second class, flew his first combat mission. On his 10th mission, in April 1966, he was hit by enemy fire while pulling a wounded Marine pilot aboard his HH-3E Jolly Green Giant. Five times in the months ahead his helicopter was shot down. He earned four Distinguished Flying Crosses and 18 Air Medals for single acts of heroism. Then came Feb. 6, 1967 and the mission that would lead to the second highest award for heroism given by the U.S. Air Force. “Hackney carried the pilot back to the helicopter to begin their retreat. They had to hurry because it was rapidly becoming dark. Before they could clear enemy air space, anti-aircraft artillery struck the helicopter, filling the compartment with smoke and fire. Hackney strapped his own parachute on the pilot’s back and helped him get out the door. He found a spare, oil-stained parachute just as a second 37-mm antiaircraft shell ripped into the helicopter. Before he could buckle the chute, the Jolly Green Giant’s fuel line exploded, blasting Hackney through the door. Holding on to the chute with his arms, he managed to pull the cord before plummeting into the forest 250 feet below. The chute slowed his fall, but he still plunged 80 more feet to a rock ledge. “Severely burned and pierced by shrapnel, Hackney managed to evade capture. When an A-1 Skyraider passed overhead, he fired a flare. A chopper mission was sent in and the rescuer was rescued. When he got back to Da Nang Air Base, he was told that he was the only survivor of the thwarted mission. Four other crew members and the pilot they had gone to save had died. “For giving up his parachute and risking his own life, Hackney received the Air Force Cross. Hackney was presented the medal by Gen. Howell M. Estes Jr., the commander of Military Airlift Command.